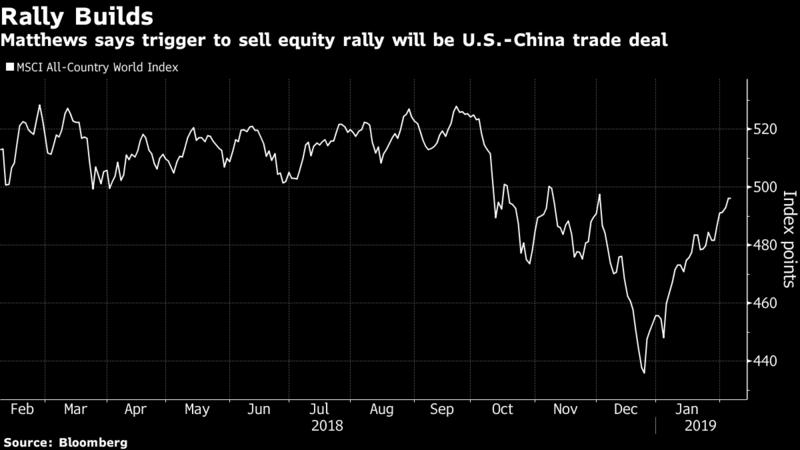 A trade deal between the U.S. and China will put an end to the rally in risk assets that’s been in place since late December, according to Hondius Capital Management LP’s Shawn Matthews. Despite Matthews’ recommendation to stay invested in equities for now, the bond market is showing signs of caution, he said. The 13 percent surge in global stocks since Christmas is beginning to reflect some kind of a U.S.-China deal, so a classic case of “buy the rumor, sell the fact” may eventuate, said Matthews. The Federal Reserve’s new-found patience, together with trade optimism, is offering support to stocks, while Treasury yields have remained under pressure amid worries the next move in U.S. interest rates might be lower. “You can’t put risk-on and just walk away -- there is so much volatility and so much headline risk,” Matthews said. U.S. Trade Representative Robert Lighthizer and Treasury Secretary Steven Mnuchin are expected to lead trade talks in Beijing starting next week. That could pave the way for a meeting between the presidents of the two countries and a possible deal that would stop U.S. tariffs on $200 billion of Chinese imports rising to 25 percent on March 1. 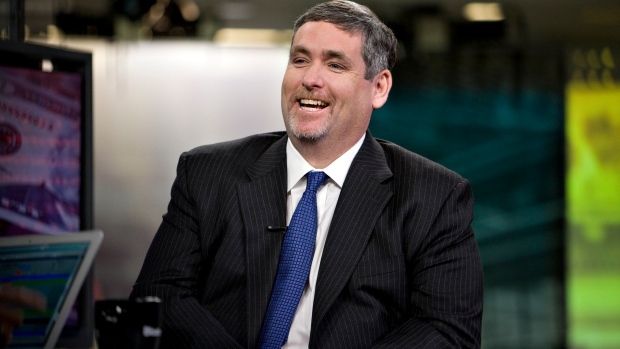 “You want to fade the rally into the deal -- and that deal is probably going to be a watered down deal anyway,” he said. --With assistance from Joe Weisenthal and Scarlet Fu.